There is hardly a more spectacular or memorable place to host a wedding than beneath the jagged mountain peaks in the heart of the North Cascades National Park! 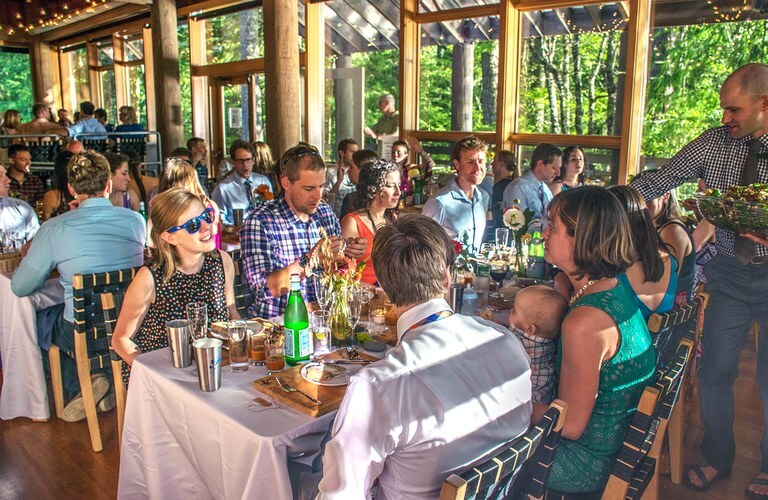 The North Cascades Environmental Learning Center is an ideal venue to celebrate your wedding weekend with friends and family. You will be surrounded by pristine landscapes and be catered to by our friendly and dedicated staff. Guests can elect to participate in a number of outdoor activities on the trails and lake adjacent to the Environmental Learning Center. Our indoor and outdoor facilities allow you to plan your wedding the way you imagine. We can accommodate up to 92 guests at our ADA-accessible facility. Who is North Cascades Institute? North Cascades Institute inspires and empowers environmental stewardship for all through transformative educational experiences in nature. Since 1986, we have helped connect people, nature and community through science, art, literature and the hands-on study of the natural and cultural history of the Pacific Northwest. Our goal is to help people of all ages experience and enjoy the mountains, rivers, forests, people and wildlife of the Pacific Northwest – so all will care for and protect this special place. Our meals feature elegant menus made with organic foods from the Skagit and Methow valleys and can be customized to match any dietary needs. Our standard meals (mostly vegetarian) and upscale meals (meat as entrée) are served buffet-style; custom meals are plated and served. If your wedding party is more than 60 people at the ELC, you can still do a custom meal, but we are unable to plate and serve the meal. The weekend menu is coordinated with our head chef and site coordinator to highlight favorite foods, dishes that are culturally relevant, and/or reflect family traditions. In our Foodshed Initiative, we aim to be as local and organic as possible, reflecting the bounty of local produce during a given season. The Environmental Learning Center has three beautiful, eco-friendly guest lodges, each with seven or eight guest rooms. Our Cedar and Fir lodges have comfortable group lounges with couches, propane fireplace, kitchenette, and games. Each room has four twin beds (in the form of two bunk beds), two desks, reading lamps and two wardrobes with lockable compartments and can welcome up to 4 people. Lodges have shared bathrooms down the hall. For the wedding couple, we offer a private cabin called “Maple House” with a full kitchen and private bathroom located adjacent to guest lodges. 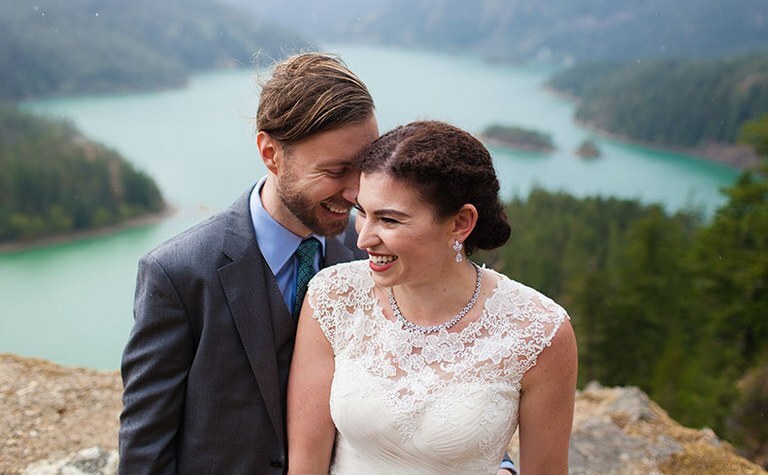 When Tricia first talked about wanting a beautiful, natural place for her wedding, North Cascades Institute came immediately into my mind. Having attended some wonderful classes at the campus, I already had my own wish to assemble the family there for a reunion. What better plan than to combine two wonderful happenings in one beautiful site. The wedding/reunion could not have been better. Over the course of 3 wonderful days we had the chance to get acquainted with the groom's family and to enjoy the food and the trails, the library and the hospitality of the learning center. Highlights were the food, the love, the campfire and, last but certainly not least, the wedding itself. My daughter summed it up with "everything I wished for in my wedding!" 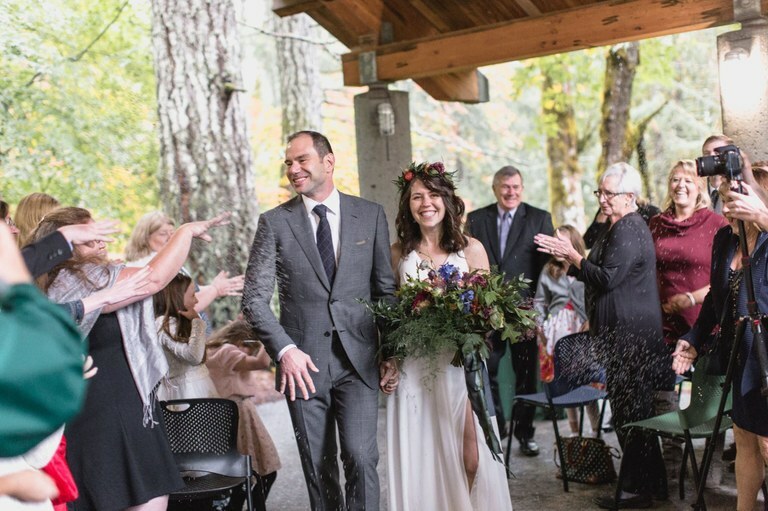 Got married at the North Cascades Environmental learning center in August of 2017 and we had such an amazing time!! I can’t say enough amazing things about Calvin and staff, they were all so friendly, professional and made planning so easy! Chef Justin and the kitchen staff went above and beyond, the food was delicious!!! It was the first time a lot of our guests have come to the North Cascades National park and I’m sure everyone will be heading back in the future. Such an amazing institute that has a great mission and educational programs to match."